We review Les Misérables from Focus on the Family Radio Theatre on this episode of this show. 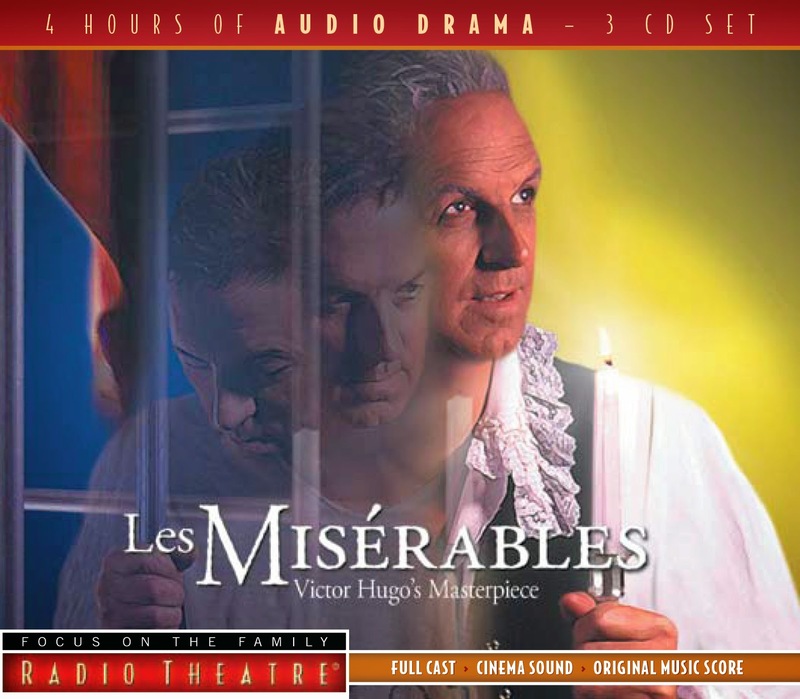 This is a fabulous audio drama adaptation of the classic novel by Victor Hugo featuring some stellar acting by Brian Blessed, Tony Robinson and Gina Beck, among others. We discuss some of our favorite moments in the program as well as play a short sample scene from the beginning of the drama. Also in this episode, Roy has another fabulous newscast and we address some listener feedback from Austin. Robert Thacker won the CreationWorks' Quest for the Golden Script contest. You can find the finished production of his winning script, titled A Search For Truth, at his website thackerpress.com/truth. The CreationWorks team continues work on album 10 in the Jonathan Park series having recently headed to the studio for recording. We have confirmed that the character of Myles Morgan will be making an appearance in this album. Production on In Freedom's Cause, the next drama in the Extraordinary Adventures of G.A. Henty series will be wrapping up this Fall with a release shortly thereafter. Lamplighter Theatre's production of The Unexpected Return is also set during the French Revolution. You can hear our review of that drama in ATC Episode 1. What are your thoughts on Les Misérables?